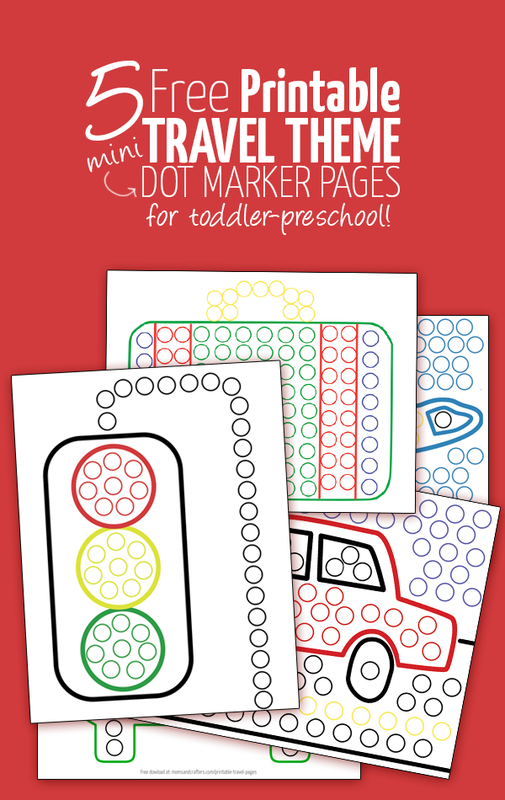 I’ve been searching for some great travel activities for toddlers, and decided to make these printable travel sheets to take along too. 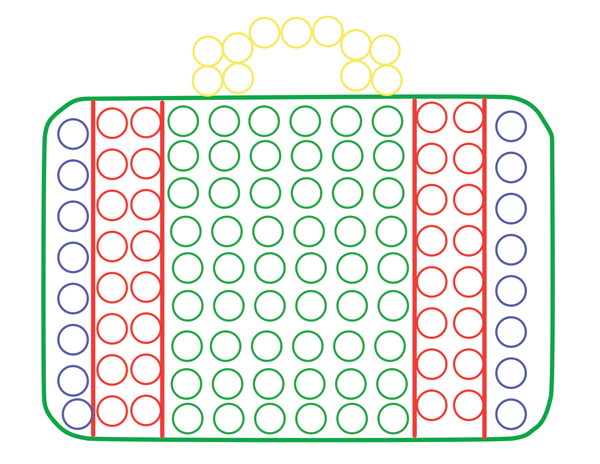 It’s easy and cheap to use, and made for the mini Do a Dot bingo markers so that it’s more portable. 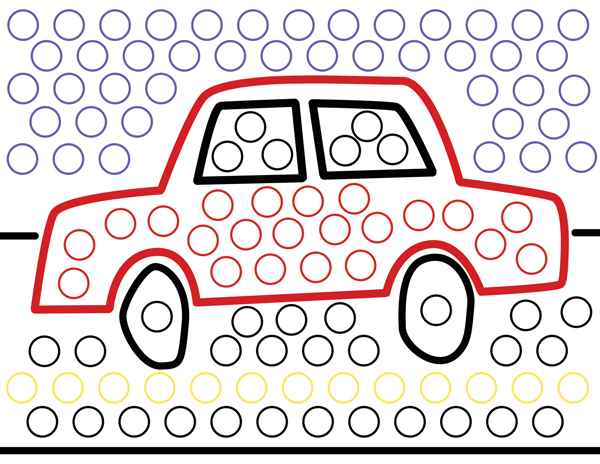 You’ll need the mini Do a Dot markers in primary colors. 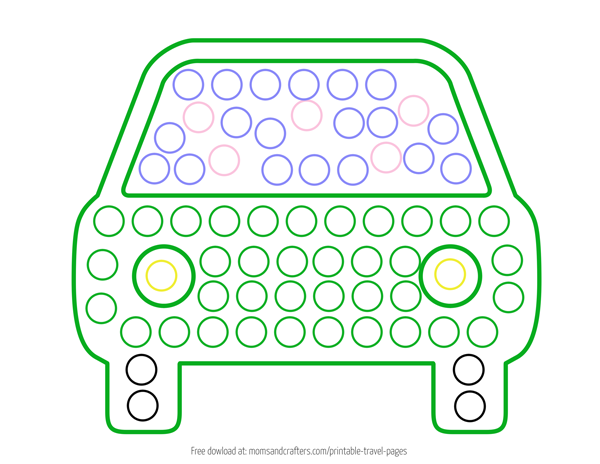 Coordination and fine motor skills, by making the dots as much as possible inside the circles. To be able to name the various travel-themed drawings. 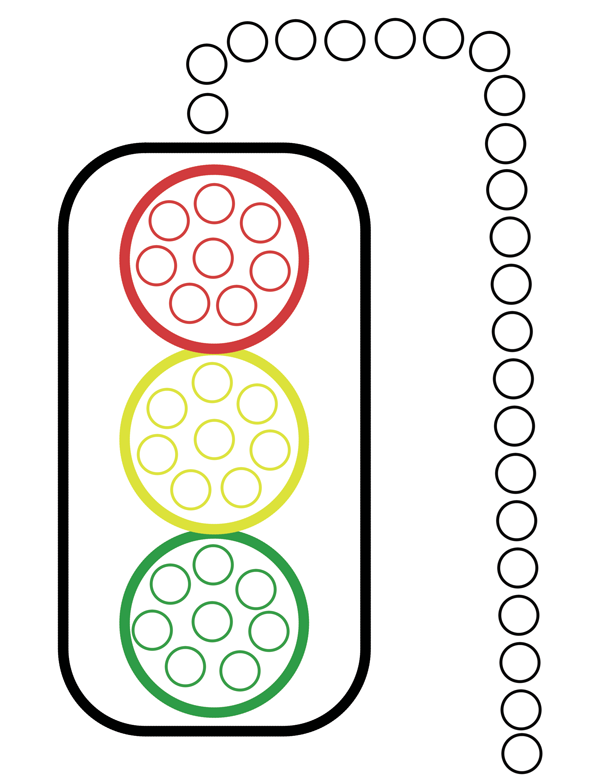 Your child can dot the markers into the correct circles, matching the colors. 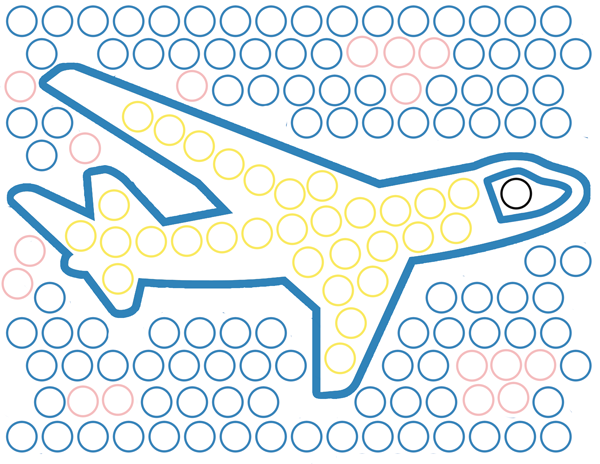 Younger toddlers who do not yet have these skills can simply make random dots. They will still start learning simply by being exposed to the color matching games. They can also learn the appropriate names. Note: the images below are just previews. 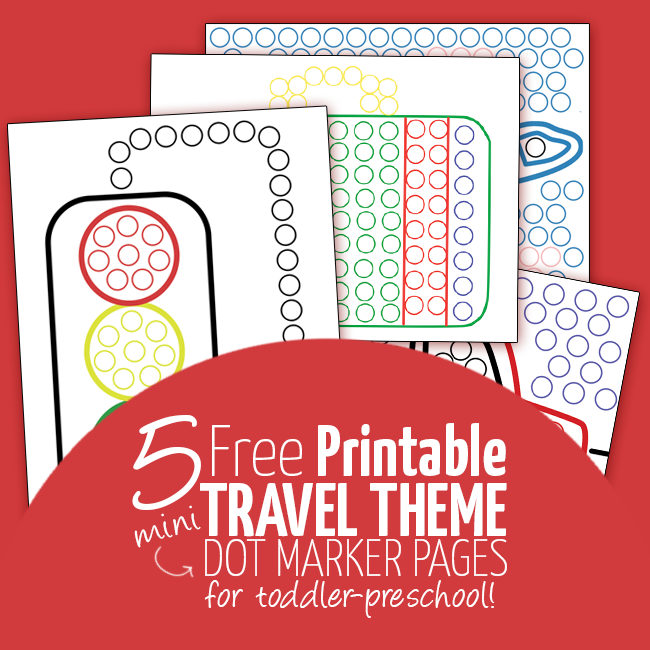 Click on the link above to download the printable travel sheets. You may not sell it. You may not redistribute it. You can share it, by sharing the link to this page. You may not copy it. If you have any questions pertaining to fair use of this, comment below or contact me. Family Fun Ideas, Free Printables, Printables for play, Tips for traveling with a toddler. Bookmark. Oh, how perfect! I need these-not just for flights but car trips too! Although it could get a little messy without supervision in the car, haha. My daughter is just 2.5 and I don’t trust her with markers in the car… so we used these with little smiley face stickers. She had so much fun putting stickers on each circle. So for those not wanting to worry about mess, there is another option for you. Still just as fun, and she loved the travel shapes. That is brilliant! Thanks for sharing that idea 🙂 And I’ glad you enjoyed!